The Guizhou University is pleased to announce scholarships for Bachelor, Master and Doctoral studies. These scholarships are open to ALL interested Students to pursue their studies in China. The aim of the scholarships is to encourage the study of Chinese language. The scholarships covers tuition waiver, accommodation waiver, free medical insurance and the stated amount of monthly living allowance throughout the study duration. Course Level: These scholarships are available to pursue Bachelor, Master, and Doctoral studies. 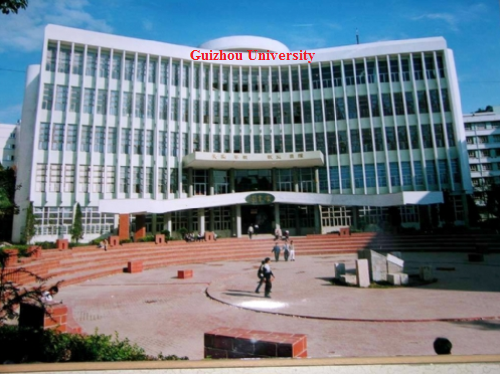 Guizhou University is a public coeducational university, located in the suburban outskirts of Guiyang. Guizhou University is one of the province’s seven major universities and the flagship institution of higher learning in Guizhou. It is also one of the largest universities in the Southwest of China catering to over thirty thousand students. The university consists of 33 colleges and offers programs of study in 11 academic divisions leading to associate, baccalaureate, master’s, and doctoral degrees. Study Subject: These scholarships are awarded in the subject of Chinese language. Scholarship Award: These scholarships will cover tuition waiver, accommodation waiver, free medical insurance and the stated amount of monthly living allowance throughout the study duration. Other costs including airfare are not covered by the scholarship. Applicants from ALL NATIONALITY can apply for these scholarships. Entrance Requirement: Applicants must have previous year degree/Studies. Now that all the information about China Bachelor, Master and Doctoral Scholarships at Guizhou University has been delivered nicely; talented students who are eager to pursue their Free Tuition/Scholarships/Study in China can apply now.